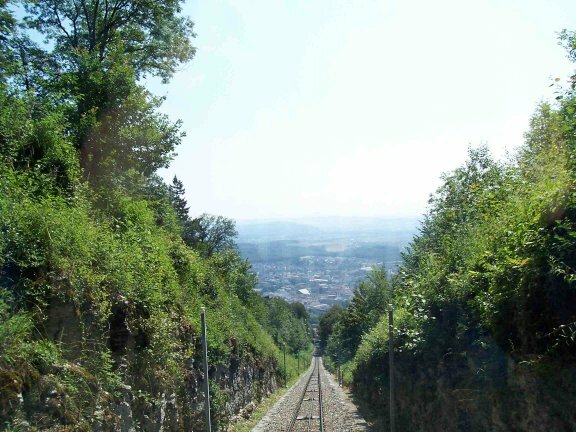 Took the rail car (called a funiculaire) to the suburb of Magglingen up in the hills. 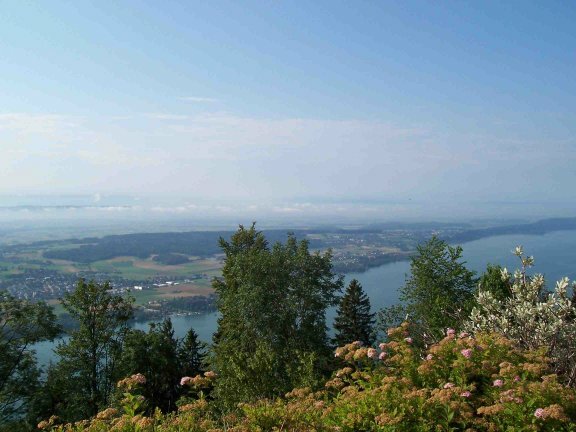 I got some very nice panoramic shots of Biel and did some more hiking through the woods. At the tournament, I was paired with my lowest rated opponent yet. FIDE ratings start at 2000 and my opponent was only 2024. A rating that low suggests he could be even weaker by US rating standards. I won the game in 20 moves directly from the Pappu Murthy book of openings. I was happy to have won quickly, but now I had some time on my hands. 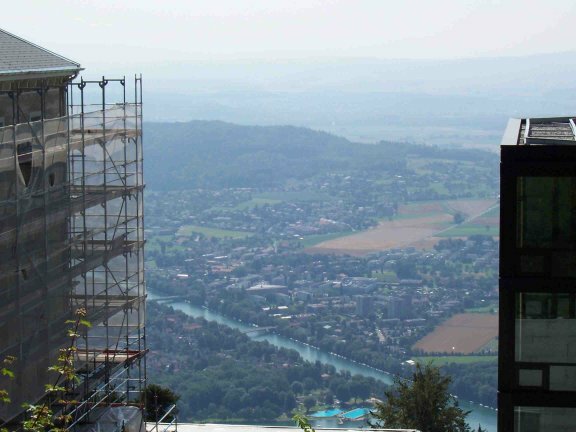 I had already decided that Friday I would go into Bern as I have exhausted the Biel sightseeing options. I decided to try to go right away to spend more time in Bern. Unfortunately, I tried to use their automatic ticket machine instead of going to the ticket window. The stupid machine ate my credit card and it was too late for them to do anything that night. Distraught, I stayed in town. Heading down in the funiculaire.